Feedspot ranked Top 100 Information Security Blogs and Hacker Ritz is in the list ! Celebration Time ! Few days back, Feedspot ranked Top 100 Information Security Blogs out of thousands of blogs from all over the World. The Best Information Security blogs from thousands of top Information Security blogs in Feedspot index using search and social metrics. Our Blog Hacker Ritz is also in the list of Top 100 Infosec Blog all over the World with a ranking of #96. It is really a proud time for us that we are in the list and serving the world with Best Hacking News , Hacking Methods , Information of Latest Tech and many more. 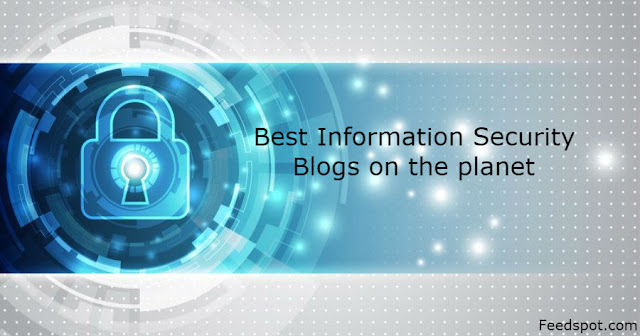 We are thankful to all the visitors of our blog for making us a part of the most comprehensive list of best Information Security blogs on the internet. Especial thanks to Mr. Anuj Agrawal (founder of feedspot.com) for analysing our blog and keeping us in the list. You can also view the list of Top 100 Infosec Blog here.